This is a link to their slide show. This link is to a PDF format of the slide show. for William as well as census records for Ann and the children. William Rowley was born 1785 In England. He married first, Ann Taylor, 1807. She died. 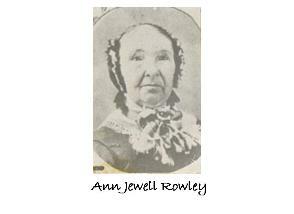 He then married Ann Jewell in 1836.
was born in England in 1807. 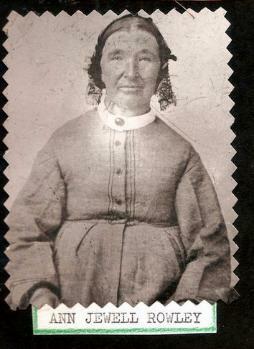 She married William Rowley 1836.
information in this slide show. America and across plains with the Willey Handcart Company.